The recent prevalence of serious injuries and deaths in California nightclubs is astounding and unacceptable. Patrons are of course often to blame. But so are nightclubs that have inadequate security measures and encourage or condone violent behavior. Bar and club fights can result in permanent, catastrophic injury, brain damage, or wrongful death. It is important in these cases to understand your legal rights and how you can recover by pursuing negligence and premises liability lawsuits against the business owners. Too many people with too little supervision can be a volatile combination, especially when they have been drinking and may be on edge or have other agendas. 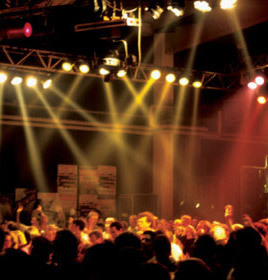 While nightclubs are not strictly liable for injuries that occur on the premises, they can be liable if they had reason to know patrons would be at risk and failed to act appropriately. Clubs must have adequately trained security and in sufficient number and should never violate fire or health codes by allowing too many patrons in at once. How many times have the police been called to the club? Have weapons been found on patrons with any frequency? How many previous fights or assaults have taken place and what measures were taken in response? Who started the fight and why? If a weapon was used, was it one that could and should have been kept out at the door? How did security react and what training did they have? If you have been the victim of nightclub violence and the owner of the club or its insurance wants to settle with you directly for a minimal amount, or even for an amount that seems like a lot, be very careful. These settlements can be to your disadvantage. Club owners and insurance companies won’t typically pay out sufficient damages voluntarily, but need to be encouraged to do so through litigation. It is important that you find an attorney to represent you if you have been injured in a bar or club assault and have suffered severe injuries, because the right attorney will maximize your recovery. You will want an attorney that thoroughly understands insurance, the litigation process, and how to hold the business owner liable. If you have been injured in a fight or attack in a club in San Francisco, Oakland or the greater Bay Area, you have a limited time to sue and are subject to a two year statute of limitations for personal injury actions in California. You will want to find the right lawyer to thoroughly assess your injuries before filing suit, but to file suit in time to avoid any statute of limitations defenses. The San Francisco nightclub injury lawyers at Bracamontes and Vlasak understand how to maximize recovery for plaintiffs involved in club fights and assaults. At BV Law we make recovery easier by prosecuting your case rigorously to get you the best result. Contact an injury attorney at Bracamontes & Vlasak today for a free consultation about your incident. You can also call our office at 415.835.6777. For examples of the outstanding verdicts and settlements we have achieved for injured California plaintiffs, see our Client Testimonials.